As the nation’s premier workforce conference, the National Association of State Workforce Agencies' (NASWA) 82nd annual conference is combining workforce development and UI into a single conference for the first time. The discussions at the conference range from policies, best practices in the industry to modern unemployment insurance solutions and digital services being catalysts for workforce development. Visit Sagitec’s booth to speak with industry veterans about how their comprehensive Unemployment Insurance tax and benefits solution, Neosurance™, is helping agencies improve customer service and administrative efficiency while giving employers access to all the information they need to work effectively with UI agencies. Learn how intuitive, mobile applications can also help claimants during their time of transition. And discuss cloud hosting trends and hear why Sagitec was recently recognized among the 20 most promising Azure Solution Providers of 2017 by CIOReview. 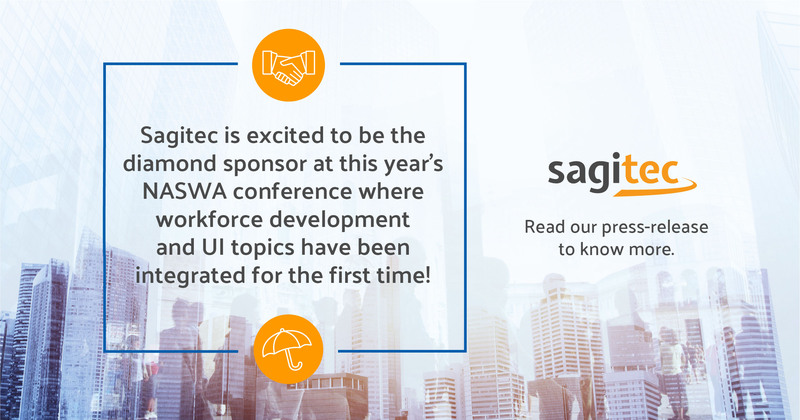 Click the button below to read a case study about how Sagitec helped the South Carolina Department of Employment and Workforce streamline employer services with the implementation of a modern UI tax system.